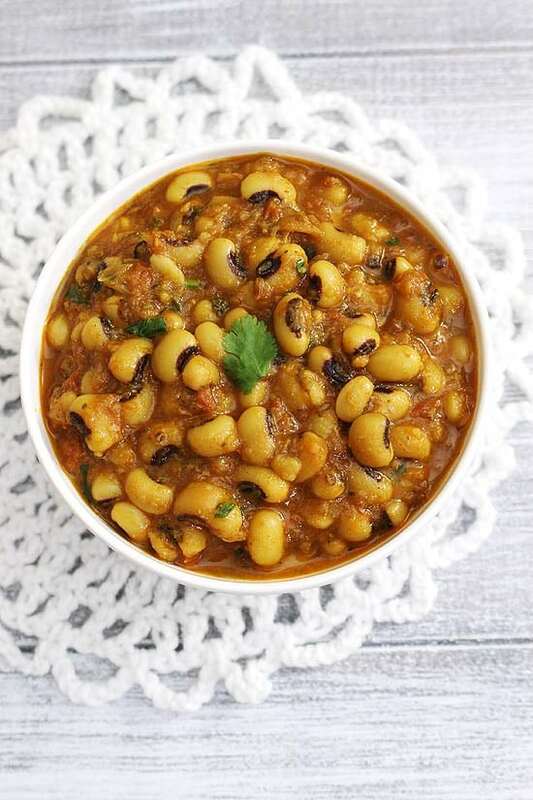 Instant Pot Black Eyed Peas Curry Recipe – This is Indian style curry recipe made with black eyed peas or beans. It has spicy onion tomato gravy with bursting flavors. This beans are called Lobia in Hindi, so it is lobia masala in Instant pot. When it comes to the recipes made with any kinds of beans or legume, we need to soak the dried beans for few hours of overnight. But here you do not need to soak the beans. Just add dried beans directly and instant pot will make them soft and melt in your mouth kind. To make the complete healthy and satisfying meal, have this black eyed peas curry with rice or quinoa. 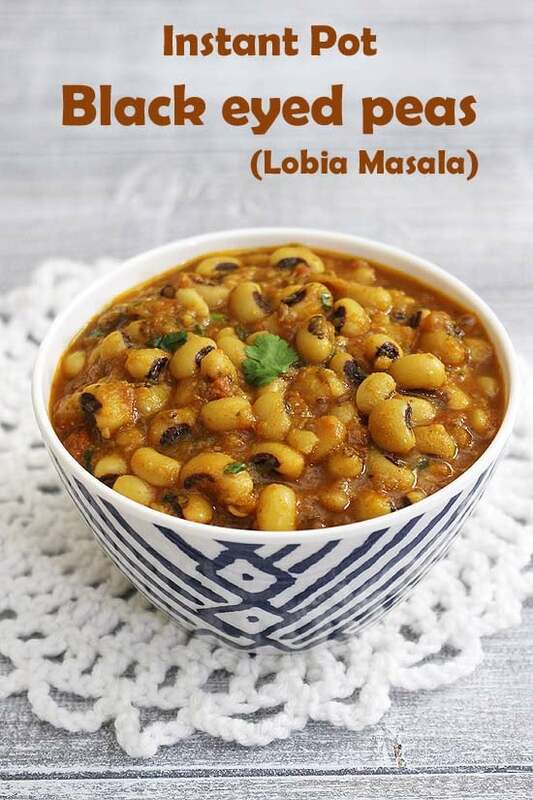 To cook rice and lobia masala together in instant pot, you need to soak the beans for sometime. So the cooking time for beans and rice matches. And you can cook both together with PIP method (Pot in pot). I have mentioned that method below in notes. So choose any method as per your need. 1) Take paste ingredients (onion, tomato, ginger, garlic, green chili) in food processor or grinder. 2) Make paste out of it. I like the coarse texture of the gravy, so I have ground into coarse paste. If you prefer the smooth gravy then make smooth paste. 3) Turn on the instant pot with saute mode. Once hot add oil. Into hot oil, add cumin seeds and let them sizzle for 30-40 seconds. Then add prepared puree and mix. 5) Now add salt, turmeric powder, red chili powder and coriander powder. 6) Mix well and cook for a minute. 7) Add washed black eyed peas. 9) Mix everything well. Close the lid, Keep the vent on sealing position. Now cancel the saute mode and turn the setting to Manual mode (high pressure) and set 18 minutes. 10) After that time, Once it beeps, press cancel and let the pressure release naturally for 10 minutes only. Then manually release the pressure by changing the vent position. Once the pin drops, open the lid. 11) Add garam masala and kasuri methi. Crush kasoori methi between your palm before adding. 12) Stir well. (Keep in mind that gravy thicken as the time goes, so even if it looks watery, after 5-10 minutes beans has absorbed some water and it thickens more.) Still, if you feel that it has too much water then turn on the saute mode and let the gravy thicken. 13) Lastly add chopped cilantro. 14) Mix and it is ready to serve. For a variation, add a tablespoon or two heavy whipping cream at the end to get creamy taste. Serving suggestion: It tastes good with rice or any indian flat bread (roti, paratha, naan). Soak the beans for 6-8 hours or overnight. Take washed 1 cup of basmati rice and 1 ¼ cup water in the inner pot to cook rice. Once you add water and beans to the instant pot, put trivet in and on top rice pot. Close the lid and cook on manual (high pressure) for 8 minutes. Let NPR for 10 minutes then do QPR. Take paste ingredients in food processor and make coarse or smooth paste. Wash the beans under running cold water and keep it aside. 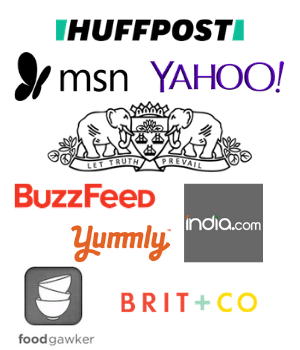 Turn on the instant pot with saute mode. Once hot add oil and cumin seeds, let the seed sizzle a bit. Then add paste and saute till all the watery part is evaporated and it becomes thick paste. Now mix in salt, turmeric powder, red chili powder and coriander powder, saute for a minute. Close the lid, keep the vent on sealing position, change the setting to manual (high pressure) for 18 minutes. Once beeps, press cancel. Let the pressure releases naturally for 10 minutes only then release the pressure manually by changing the vent position. Once pin drops, open the lid, mix in garam masala and kasoori methi. Lastly garnish with chopped cilantro and serve. glad to know that it came out good. Yes I will add once I have enough recipes. Currently I have only 2.